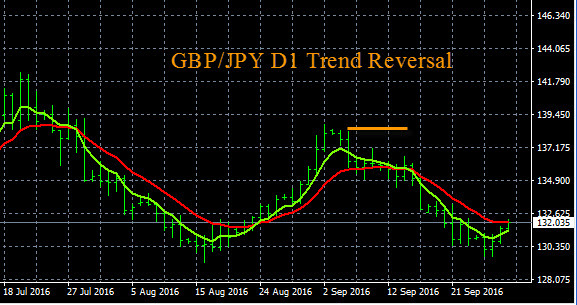 The trend analysis category will show charts of 28 different currency pairs, and the analysis of their trends using multiple time frame analysis. 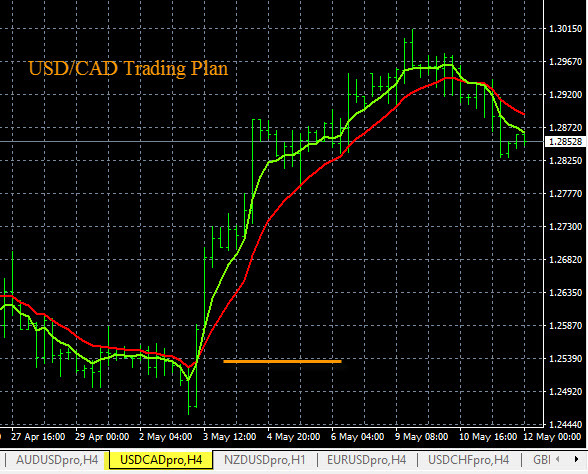 The USD/CAD trading plan for the current market condition is as follows. 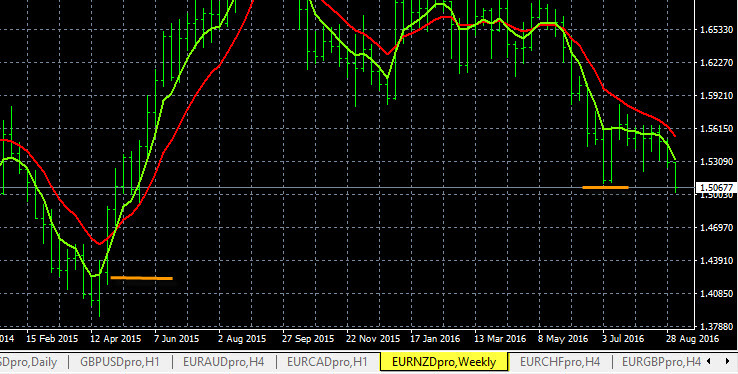 This pair could begin trending down on the H4 and D1 time frames. Look for a sell signal on this pair in the main session, if it drops below 1.2830, it has pip potential down to the 1.2550 support area, which is noted by the yellow line. This trading plans was prepared using multiple time frame analysis by individual currency, and we are detecting some CAD (Canadian Dollar) strength in the market now. 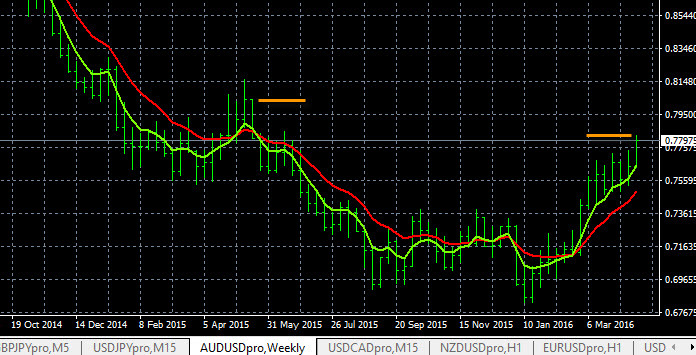 We use this method to analyze 28 pairs for our daily trading plans at Forexearlywarning. 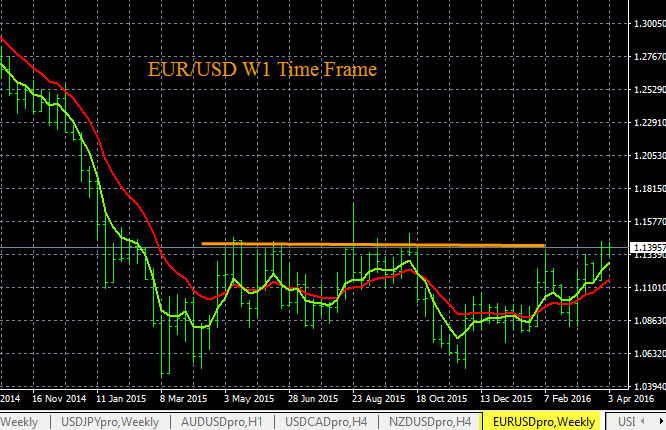 The AUD/USD is trending up on the W1 time frame, which is shown below in the image. 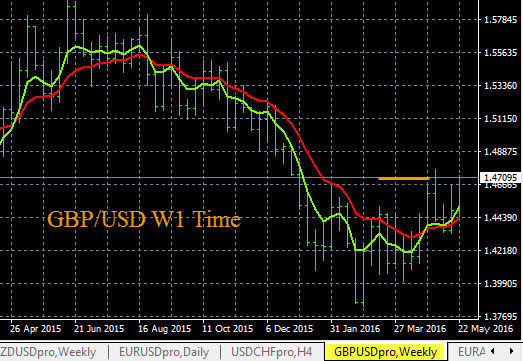 The current resistance and price alert point is 0.7820, noted by the yellow line on the right. Traders should set a price alert here. 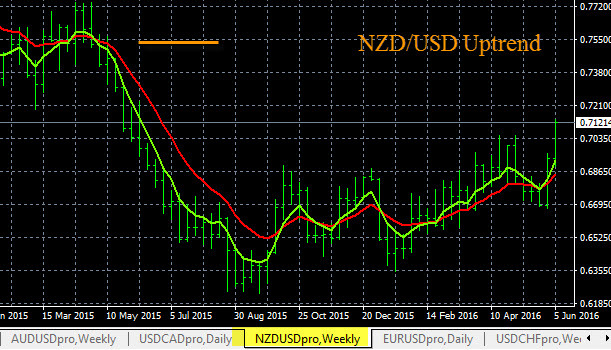 When the alert hits check The Forex Heatmap® for buy entry confirmation signal. 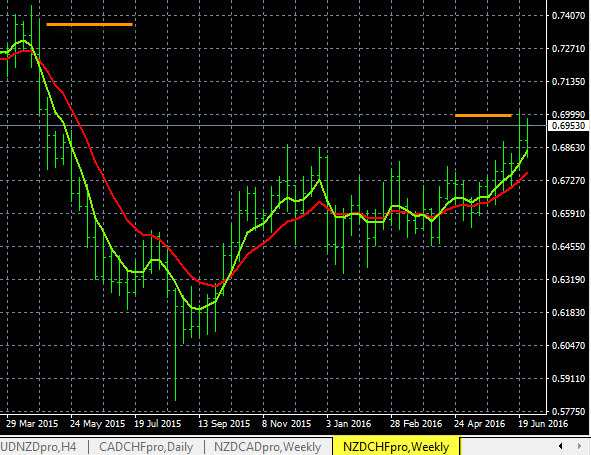 The next resistance area is 0.8025, however if the MN uptrend forms the potential is much higher. 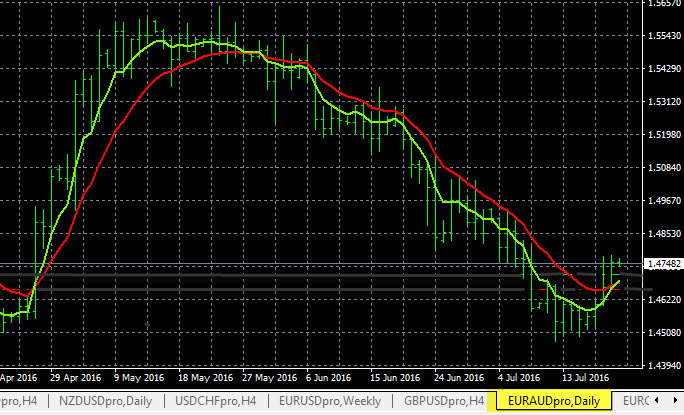 The trend indicators you see are exponential moving averages, which we use to analyze 8 currencies and 28 currency pairs for our daily trend analysis and preparation of our trading plans.